Over the years, OnePlus has managed to gain a whole lot of popularity as well as a fair share of the smartphone market with its fairly priced smartphones, one of which is the OnePlus 5t which was launched late last year with the latest Snapdragon 845 processor, 18:9 screen ratio, dual rear camera setup and many more all for just around $500. It's a new year already and OnePlus, just like most other smartphone manufacturers is gearing up for its next flagship smartphone which will be called the OnePlus 6. 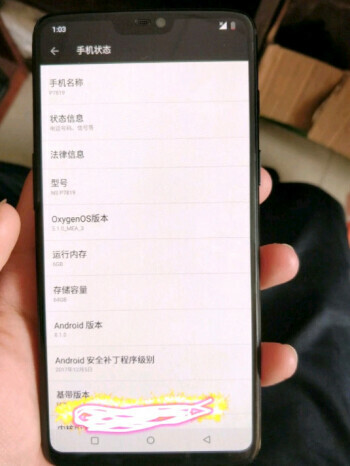 Although there is no official statement from the company on this yet but leaked images of what seems to be the prototype of the upcoming OnePlus 6 has just surfaced online and this gives us a better idea of what to expect "design wise". 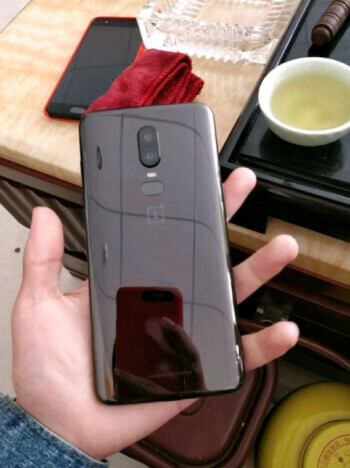 OnePlus really did a very good job at trimming down the bezels on the OnePlus 5t to achieve a very impressive screen-to-body size ratio but the leaked image of the upcoming OnePlus 6 shows that the company might be taking the bezeless design a lot more further. The bezels on the device shown in the image were so trimmed down that OnePlus had to implement an iPhone X like notch to house the sensors, camera and earpiece as there is almost no space left on the top of the smartphone. The back of the device also reveals a repositioned vertical dual camera setup unlike the horizontal dual camera design used on the OnePlus 5 and OnePlus 5t. The fingerprint scanner is also positioned just below the dual rear camera and this contradicts earlier reports that OnePlus might be implementing an In-screen fingerprint scanner just like on the ViVo X20 Plus. 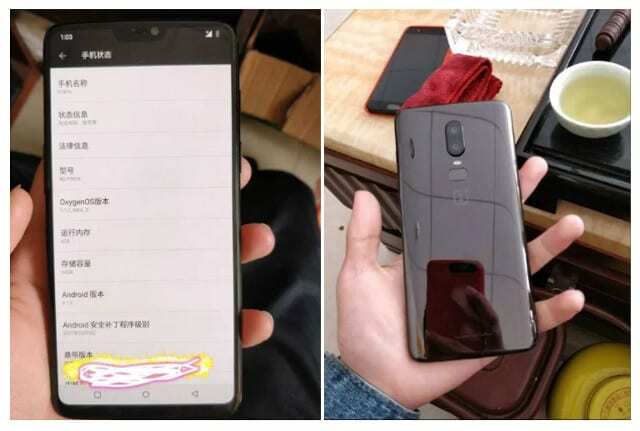 The glass back on the prototype image leaked online is also a clear indication that OnePlus might finally be adopting the wireless charging technology. The wireless charging feature made its way to the iPhone 8 and iPhone X launched last year, so it's just right that OnePlus also gives it a shot in its next flagship. At the moment, there is little to no information on what the internal hardwares, launch date or starting price of the OnePlus 6 will be, but we will surely keep you guys updated as soon as anything comes up.